I heard from my friend Olivier. He is based where the America's Cup will be held. How cool is that?!? 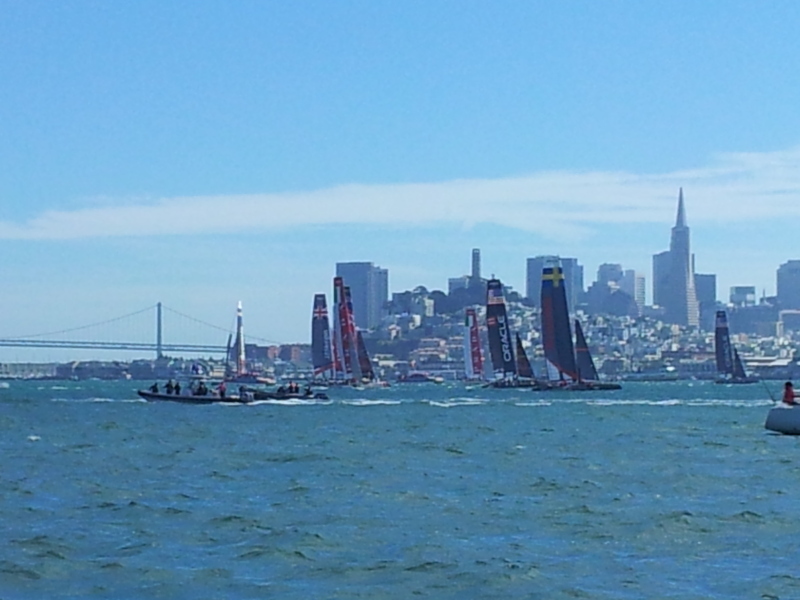 He said: "Wishing to inform you that a race of America's cup will be in the bay of Toulon this year. The bay of Toulon is the place where I live"
Following are the details for those fortunate enough to go. And don't forget to take lots of pictures. Thanks! J. We attended the Louis Vuitton series in San Francisco in Oct 2012. 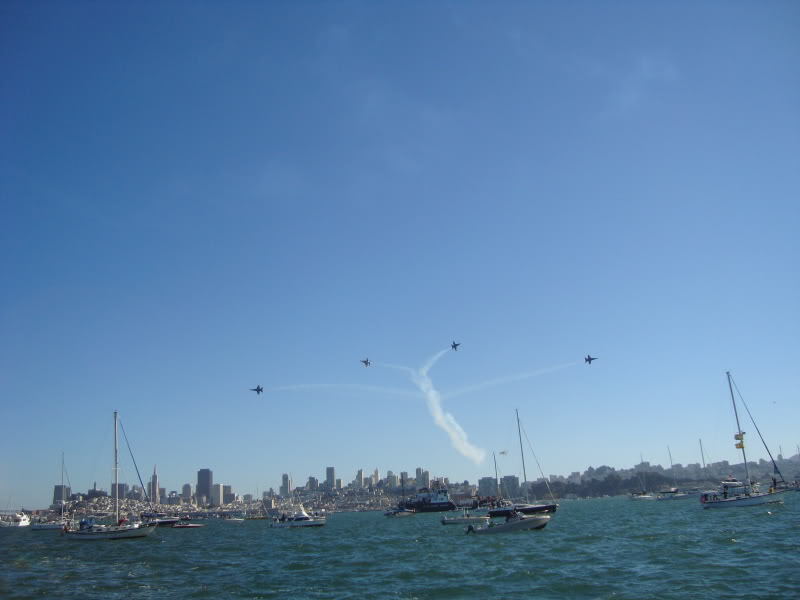 These races occurred concurrently with the Fleet Week activities on SF Bay, including the Blue Angels Flight Demo Team. They were also racing the smaller 45s, but this year the 45s are on foils, so it should be much faster. This warm-up series was fun to watch with the competing teams getting into their groove, but it wasn't the BIG 2013 America's Cup race. The big race for the America's Cup will be held in Bermuda in 2017. That's true and if I ever replace that one, you won't see another on my boat either! That's from my early days fishing for bass and stripers. I figured since I cast with my right hand, I'd prefer to reel with my left hand, eliminating the need to switch the rod from right to left to reel in. That was fine with smaller low profile levelwinds used in bass fishing, but as I transitioned into bigger species and bigger reels, it severely limited my reel choices. My current fleet of reels are Shimano Tekota Linecounter 500s. They cast a country mile, then I set my rod in a balancer or rodholder and watch for the hit. It's much more my style now...relaxing and more civilized without excessive casting. I may not catch big numbers of fish anymore, but they're now big enough that I remember just about every one. Sometimes my muscles remember them for days later!! And a cool shirt too. Were you part of the official race watchers? 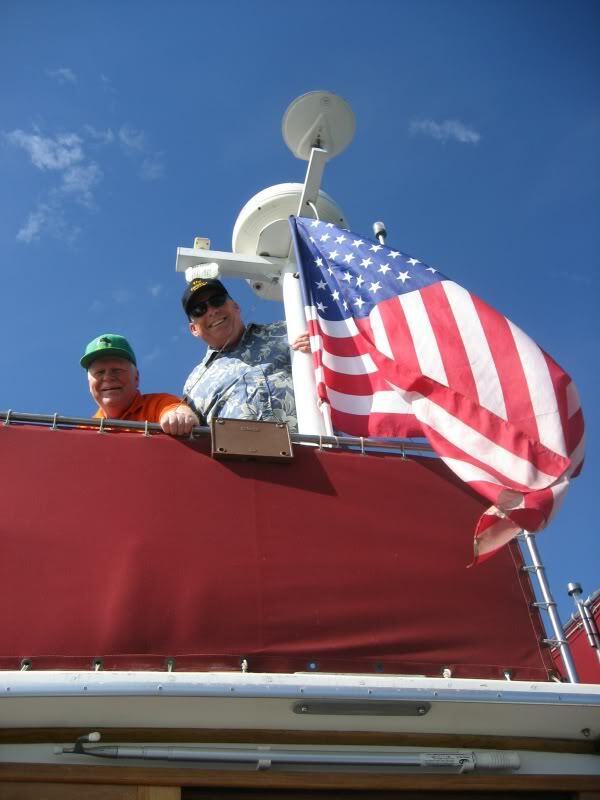 Just wondered as we were on a boat for the offshore power boat race... We verified as each team made it around our marker. I remember Baby (who is now over 30, and no, I have no idea where the years went) ... afterwards we were heading back to the main boat and she had a bow line wrapped around her hand saying "hot damn" when we'd fly off a wave. She had a blast. She was only two or three at the time. Son had stayed on the main boat (a wooden 50'er) that was eventually donated to a college. It was one of the "smaller" Presidential-type yachts with gorgeous brass everywhere. The thing I thought (and Son too) that was neatest was the one-armed clock he had in his main salon. Ir was old and just so far beyond cool as to be in its own category. Enough reminiscing from me. Congratulations to all who can go to the events. I'm sure there's a good time to be had. Gosh I hope Olivier has a wonderful time. I cannot wait to see the pictures. Thanks, Janice!! Perla, Mark Pierce's lovely SO, had the shirts made in the Philippines and brought them back for us! We loved them. I'm also wearing a Carquinez Coot hat they presented us. 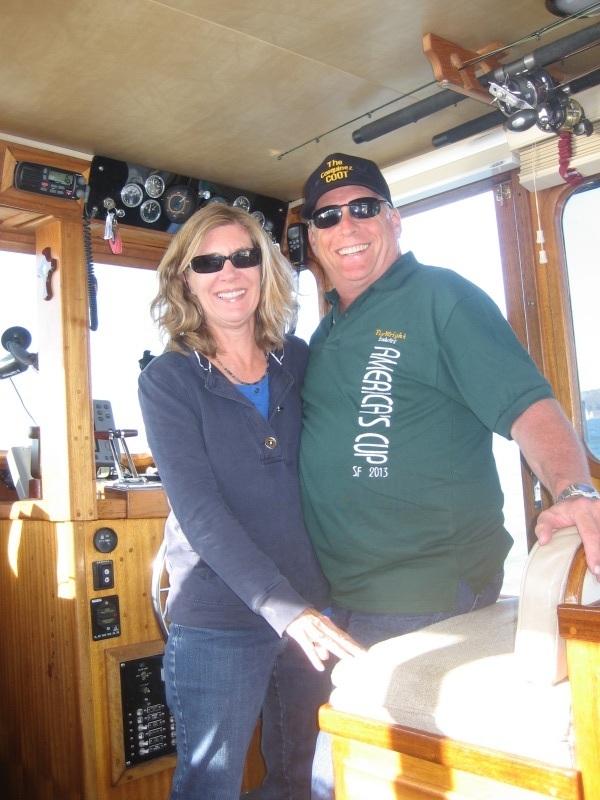 Mark and Perla joined us for a day trip out of Sausalito. Not on any team, but after a couple days of practice, I learned how to anchor close to show center. 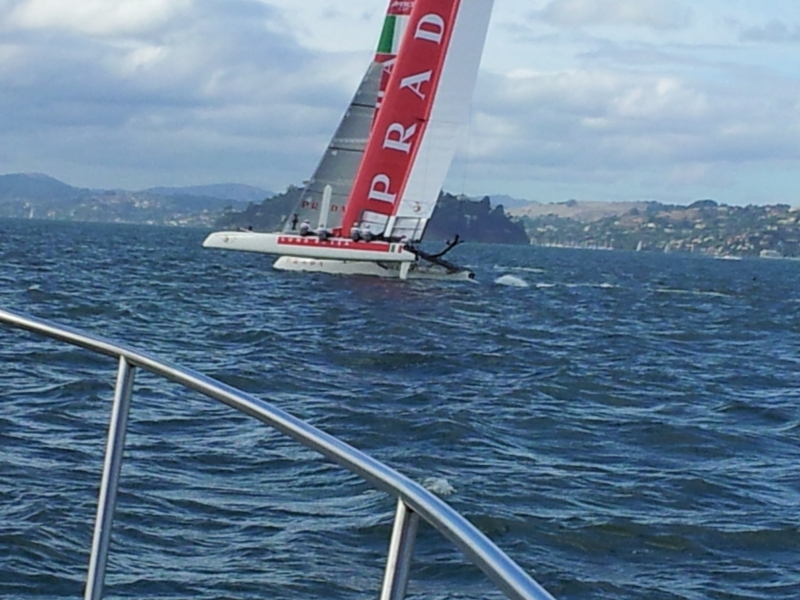 We had several AC45s cruising slowly around us while at anchor before the race. Also, while cruising around, we had a couple pass us while relatively close to us. It was the first time I had fun watching sailboats!! Nothing new here, but it did remind me of how exciting the last race was. I heard from my friend Olivier. What a coincidence. I have a friend named Olivier who lives in that area. He was just here in the US to drive his restored WWII Jeep in two parades on July 4th. He's quite the boater over there. Owns a VERY nice trawler that I just beautiful. Let it be said, let it be done. Many thanks for your very nice PM about my come back, I sent you an email back. Hi Olivier and others, yes this series is indeed interesting, and I can't wait for the main event in Bermuda next year. It is a great pity we don't have an Australian team entered, so I must once again fall back on my NZ origins to have a team to support, although we are still gutted at how they managed to lose the cup last time. It appeared the sky and sea gods just decided against them winning, and that was that. Emirates Team NZ seems to be shaping up well under their new skipper, Glen Ashby, and helmsman, Peter Burling, who won a medal or two at the recent Olympics, so was not at the helm of the Team boat at the last couple of AC 45 events, but from here on, "he's back", so that will indeed be interesting. Just a pity the winds off Toulon were so fickle the racing there was a bit of a lottery.